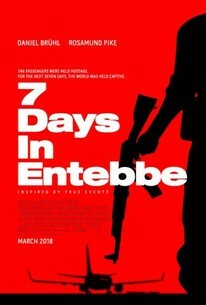 Earlier today I saw the new theatrical film 7 DAYS IN ENTEBBE (2018), a solid docudrama about the 1976 rescue of hijacked hostages by Israeli commandos. I became interested in the film after seeing the trailer; I tend to like fact-based "tick-tock" dramas, such as PATRIOTS DAY (2016), about the hunt for the Boston Marathon bombers. I was slightly concerned the film might be a little too tense or violent for me, which proved not to be the case; in fact, it could have stood some more tension, as I'll explain below. I ultimately felt the filmmakers' choices somewhat undercut their telling of one of the great rescue operations of all time, but all in all it was an interesting and worthwhile film. 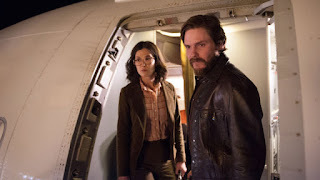 The film dramatizes the incident in the summer of 1976 when Palestinian terrorists (played by actors including Rosamund Pike and Daniel Bruhl) hijacked an Air France flight headed from Tel Aviv to Paris. The pilots were forced to fly to the Entebbe Airport in Uganda, where they were "welcomed" by crazed Ugandan leader Idi Amin (Nonso Anozie of CINDERELLA). During the following week the Israeli passengers were separated out and the other passengers were mostly let go. The hijackers demanded a prisoner release in exchange for the remaining 94 hostages and the flight crew, but Israel maintained its policy of not negotiating with terrorists. 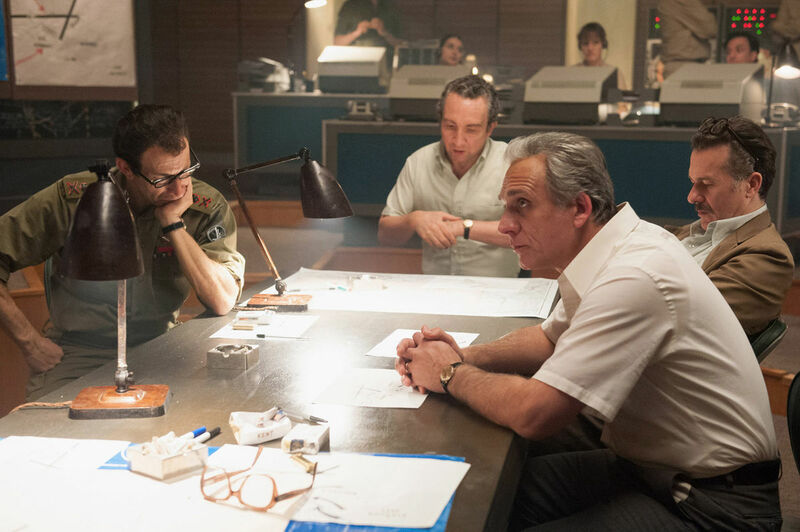 Behind the scenes, Israel's prime minister Yitzhak Rabin (Lior Ashkenazi) and defense minister Shimon Peres (Eddie Marsan) debated whether to talk with the hijackers while simultaneously crafting a rescue plan. The hijackers agreed to extend their deadline to begin killing hostages when told that Israel would negotiate, which bought enough time for the rescue to be put into motion. Since this is a well-known piece of history I don't think it's too spoiler-ish to say that the raid on the airport by 100 Israeli commandos was tremendously successful, rescuing most of the hostages, with one death among the Israeli commandos. The officer who died was, in fact, Yoni Netanyahu (Angel Bonanni), the older brother of Israel's current prime minister. Other than Anozie and Pike, who was Jane in the 2005 PRIDE AND PREJUDICE, the actors were mostly unknown to me; all were competent and believable. 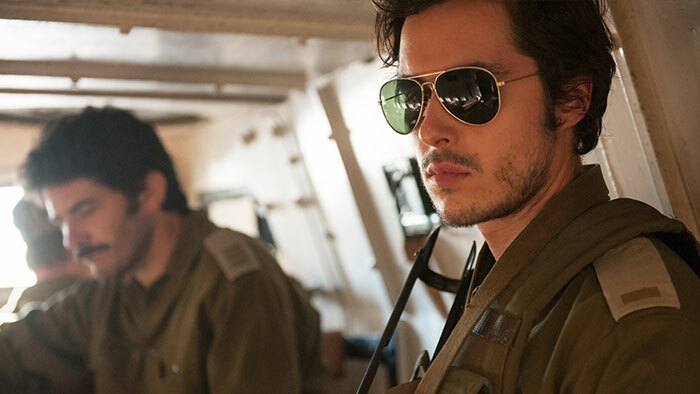 The most curious thing about the movie was the choice to frame the opening and closing sequences with a modern dance, in which the girlfriend (Zina Zinchenko) of one of the Israeli soldiers (Ben Schnetzer) is a key performer. The piece worked well enough at the start of the movie, being somewhat thought-provoking as to how its symbolism fit in with the rest of the story, but the cuts back and forth from the rescue operation to the dance completely decimated the urgency and excitement of the rescue scenes and made it harder to follow what was happening. 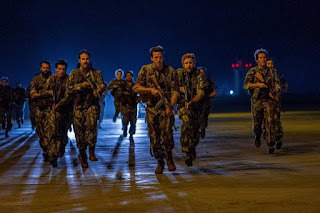 Fortunately we had watched the soldiers rehearsing so what was happening when they arrived at Entebbe Airport was clear enough, but when it came time for the soldiers to enter the old terminal building where the hostages were held, what was shown was quite abbreviated. In the movie's favor, there is no graphic violence, but the filmmakers' choices meant that the climax of the film was much less exciting and satisfying than it should have been. That said, 7 DAYS IN ENTEBBE was an absorbing hour and 46 minutes which also served as a refresher for me on an incident which happened when I was a child. I have only vague memories of it -- or it might be that what I'm actually remembering is the advertising for dramatizations which quickly followed in the late '70s. 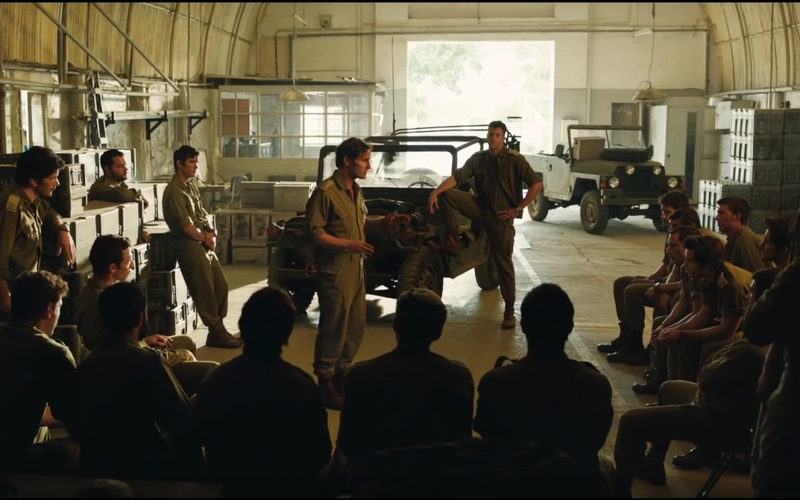 The best-known film is probably RAID ON ENTEBBE (1977) with Charles Bronson, Horst Buchholz, Peter Finch, Yaphet Kotto, and John Saxon. 7 DAYS IN ENTEBBE was directed by Jose Padilha and filmed by Lula Carvalho. Parental Advisory: This film is rated PG-13 for reasons including violence, thematic material, and brief strong language. I would add that the lives of children are directly threatened which would likely be difficult for young viewers to watch. 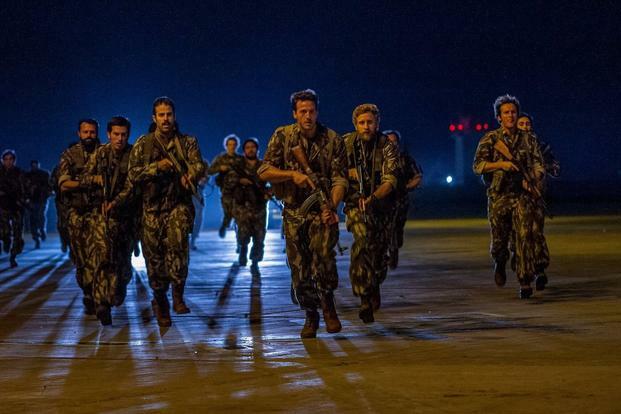 The positives in the film include the bravery of the flight crew and the commandos who carried out the rescue.